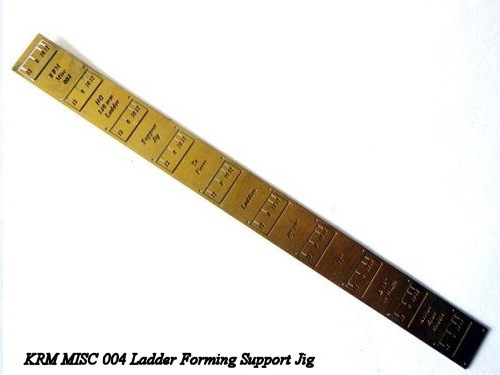 This blog will show the correct method of using the KRM Misc 004 HO Ladder Forming Jig, not that there is a correct method of using the jig, as individuals will develop their own "best way" of using it. 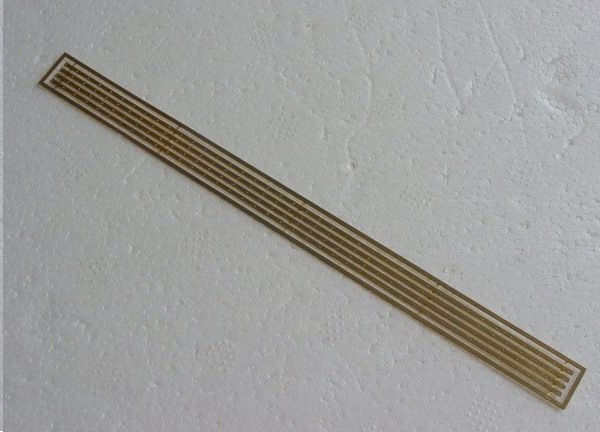 The jig is just simple etch, which allows you to use the KRM HO 012 Ladder Stiles to form a very fine ladder with much smaller rungs, than the fully etched ladders available elsewhere. The different that these ladders make to a build, signal, or kit is remarkable, and even to the point of make the rest of any kit look good. The ladder stiles are a scale 40 feet long and you can make up 2 ladders of this size. I am seriously thinking of redoing the jig and the stiles in Nickel Silver as the cost is not that much more than brass and the end result , ease of soldering and the rigidity of the ladders are much greater.